Looking For A Fairness Creams for Your Oily Skin ? Check Out The Best Of Top 15! A fair and glowing beauty can get eyes rolling and set everything on fire. But not everyone is blessed with a clean, non-oily skin. Unfortunately, many women are plagued by the problem of oily skin and especially when it’s summer, dirt, pimples, blackheads, and oil almost dripping off the face are major concerns to them. Here comes the importance of fairness creams designed specifically for oily skins. Known for its holistic approach, this moisturizing whitening cream with SPF 20/PA+ works inside out and takes care of different aspects of skin radiance. It contains exclusive Healthy White Complex (Essential SoyTM, Vitamin B3, Vitamin C and Portulaca blend) that minimises melanin formation and boosts the whitening process. It also hydrates, textures and tones up the while giving an even complexion. Price: Rs. 99 for 20 gm. This amazing product combines Vitamin C, Advanced Melanin-Block, and White Micro-Pearls, which cumulatively result in a brighter, luminous skin. It takes care of both microcirculation underneath the skin and melanin production in the skin, which leads to an intense radiance and a rosy glow. You will also get softer, smoother and moisturized skin with visible reduction of dark spots. Price: Rs. 499 for 50 gm. With mulberry leaf extracts doubled in the cream, it gives you two times brighter skin that is intensely moisturized and has zero greasiness. Key ingredients of this cream are niacinamide, pro vitamin B5, and vitamin E, which comes along with SPF 24/PA++. It offers a total of 7 fairness benefits altogether by lightening skin tone, brightening dull skin, reducing the appearance of dark spots, evening out skin tone, moisturizing, smoothening skin, and providing sun protection. Price: Rs. 399 for 50 gm. With an oil-free formulation (contains unique pure rice oil control system) including multivitamins and cherry extracts, this cream returns a soft, moisturized, and pinkish appearance. It gives a fair, bright and glowing skin that feels fresh, non-greasy, and lasts 3X longer. It also blocks UV rays to prevent skin darkening. Price: Rs. 65 for 20 gm. The name speaks for itself! This cream controls oil with its exclusive oil trapping technology while its pure lemon essence reduces acne marks and makes your skin brighter. It is perfect for dull, oily, and acne-prone skin and you can get 8-hour shine-free look easily. It also comes with UVA/UVB filters. Price: Rs. 110 for 40 ml. It reduces melanin production with white crystalline technology and prevents the effects of UV rays to give a brighter skin tone. It also leaves your skin hydrated and provides with unique essential nutrients in order to keep it healthy and radiant. Price: Rs. 289 for 50 ml. This cream is herbal in nature and keeps your skin fresh and soft while taking control of your excessive oil. It has unique Phyto–Vitamin Complex (combining Alfalfa, Saffron, Vitamin B3, and Vitamin E), which results in an advanced skin lightening formula, perfect for getting a brighter, even, blemish-free, and healthy appearance. Price: Rs. 80 for 50 gm. With the goodness of lilies, white lotus extracts, precious micro-crystals and skin lightening vitamins, this fairness cream removes dark spots and helps control oil giving a perfect high-resolution crystal radiance. The moisture-rich yet ultralight formulation polishes the skin gently to reveal an illuminated look, diminish skin darkening, and lighten skin tone. It also comes with SPF30. Price: Rs. 295 for 50 gm. They do claim to be the number one brand in the world but that’s probably because of the sheer number of users. Enriched with advanced multivitamins and antioxidants, the cream indeed gives a lighter and radiant skin complexion. It works as a face polish and peel to remove sun tan and dullness. It also works with laser-like precision on ugly skin marks. Price: Rs. 134 for 80 gm. With multi-UV protection and pro-vitamin B3, this daily fairness cream lightens your skin tone from inside-out effectively. The Genwhite active present in it goes deep into the skin to fade away dark spots and dullness at the source while its antioxidant content has a lightening effect on dark circles. It gives a non-oily, light, and feather-soft feel with a fairness that glows. Price: Rs. 75 for 25 gm. This product is known for giving a soft, smooth, and noticeably fairer skin with an absolute matte finish. Its Advanced vitamin agent (AVA) improves the cell renewal process to make the skin look brighter while the dual sunscreen composition protects it from the harsh rays of the sun. Price: Rs. 100 for 50 gm. This revolutionary composition is not really a cream but an emulsion that blends the benefits of a gel and a creme and is readily absorbed into the skin. Enriched with grape, mulberry, Saxifraga extracts and milk enzymes, the advanced formula offers triple actions i.e. lightening, whitening, and brightening of the skin by reducing uneven pigmentation, dark spots, and blemishes. It also contains SPF 25 / PA+++ to protect the skin from harmful UVA and UVB rays of the sun. Price: R. 395 for 60 gm. A veteran in the business, Lacto Calamine by Piramal Healthcare is widely recommended by dermatologists. The lotion provides Oil Balance for up-to 8-hrs through its unique Kaolin Clay Therapy and 3-way action, which absorbs only excess oil from the skin surface without removing the essential oil. It also unclogs skin pores and retains natural moisture to give you a soft and supple skin every day. Though there are no SPF benefits, it is perfect for oily and acne-prone skin. Price: Rs. 75 for 30 ml. Grape Seed extract, jojoba oil, vitamin E, Aloe Vera extract and lactic acid are the primary ingredients in this cream that cumulatively take care of acne-prone and oily skin. The age controlling cellular extracts and vitamin E make this light, moisturizing cream perfect for nourishing the skin, protecting it from moisture loss and turning it soft and radiant. However, SPF is not present in the formulation. Price: Rs. 290 for 50 ml. This is a refreshing astringent capable of restoring skin balance, closes pores and clears debris and oil from the face. It is very refreshing. Price: Rs. 268 for 120 ml. 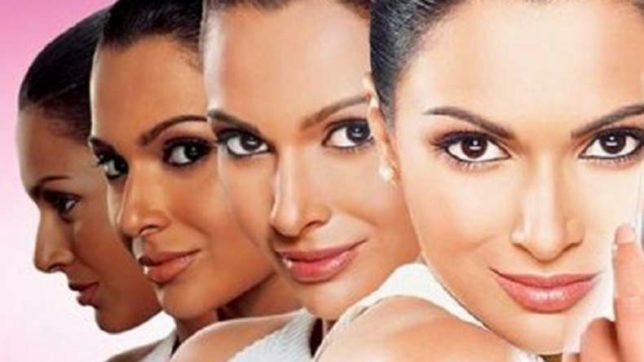 Using too much of these fairness creams can lead to hyper pigmentation. This is also one of the causes of dark spots. Too much of anything is not good and fairness creams aren’t foolproof either. The aromatic compounds used in these fairness creams are potential skin irritants and can even lead to allergic reactions for sensitive and oily skins.